Pro Bowl offensive lineman known for his aggressive run blocking and an attitude that has gotten him in trouble on and off the field, including an alleged bullying incident in 2013. He played football at Mountain Ridge High School in Arizona. NFL players voted the him the league's dirtiest player in 2009. He has a younger brother named Derek. 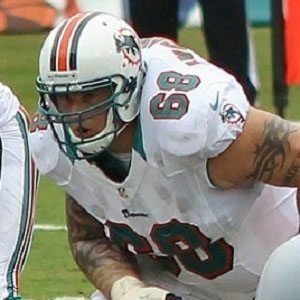 He played for head coach Joe Philbin during his time with the Dolphins.